See birds everywhere you go? Then you should be able to read this eyechart with no problems. 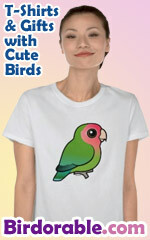 This is a fun, funny original design made for birders of all levels.